Choose one day or the other! There is always lots of interest in this class, so we are offering it on two consecutive days this year! As the New Year begins, it is a good time to clarify your goals, your dreams and desires. 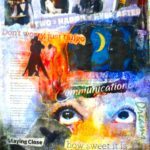 A visual affirmation for your spirit, a Vision Board is a creative way to focus your intention on manifesting what you truly want to be, to have, or to do in your life. 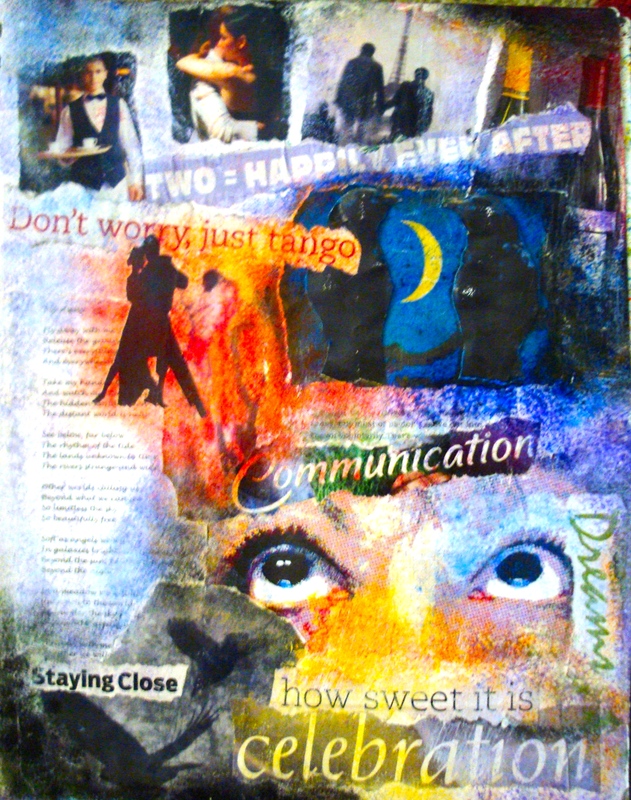 Nancy Warble will guide us through this process with guided meditation, quiet contemplation, and creative collage. Cost for this class is $40.00 in advance, $45 on the day of class. All of the materials you will need are provided as part of the class. Feel free to bring any additional photographs or personal items to attach to your Vision Board. Nancy suggests that including an image of yourself can be a powerful addition to the manifestation process. Nancy included her own eyes in the image above. Class will be held at Radiance, 9 W Grant St., Lancaster. Stop in or phone to register 717-290-1517. Advance registration is needed so that we can plan for materials. Nancy Warble has a degree in Art Education from Millersville University and is retired from more than 30 years of teaching art in public schools. She is following her dreams by studying shamanism, contemporary witchcraft, and psychic development, and teaching art to adults!